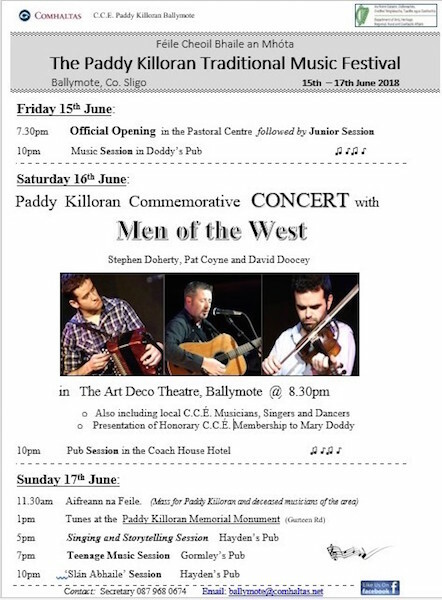 8.30pm Paddy Killoran Commemorative Concert with Men of the West, Stephen Doherty, Pat Coyne and David Doocey in the Art Deco Theatre, Ballymote. Presentation of Honorary CCÉ Membership to Mary Doddy. 10.00pm Pub Session in the Coach House Hotel.